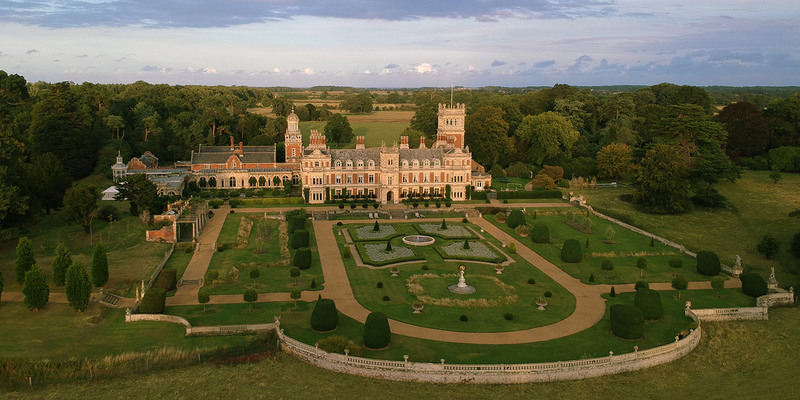 Considered one of the finest gardens in East Anglia since the mid 17th century, the gardens at Somerleyton continue to delight. Set over 12 acres, the garden is slowly being re-imagined as a series of interconnected ‘rooms’. 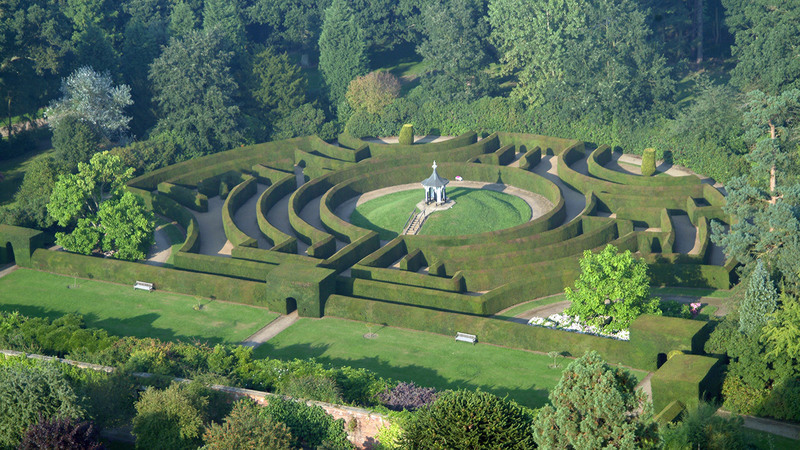 The centrepiece is the Nesfield Parterre to the west of the hall, restored in 2012/4 by Norfolk’s finest landscape architect and historian George Carter. My Lady’s Garden next to Nesfield’s famous yew maze (1846) is being transformed by Lady Somerleyton as a rose garden with restoration of the four lead statues that surrounded Mercury. 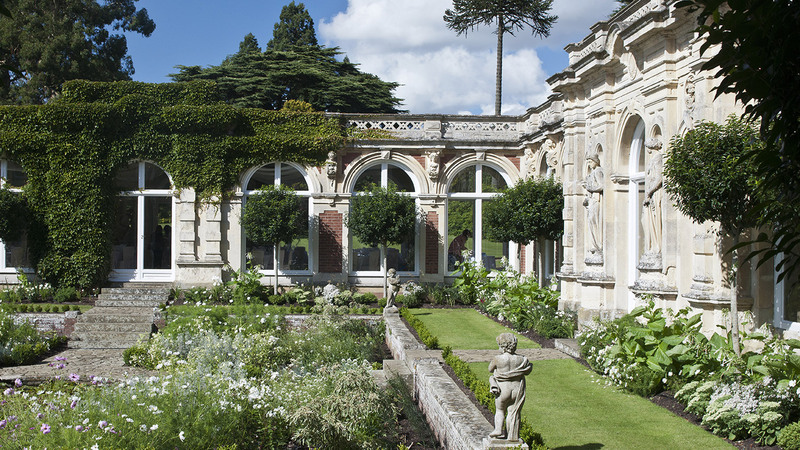 The charming sunken white garden to the north of the hall is set within the footprint of the former winter garden, a small part of which survives. 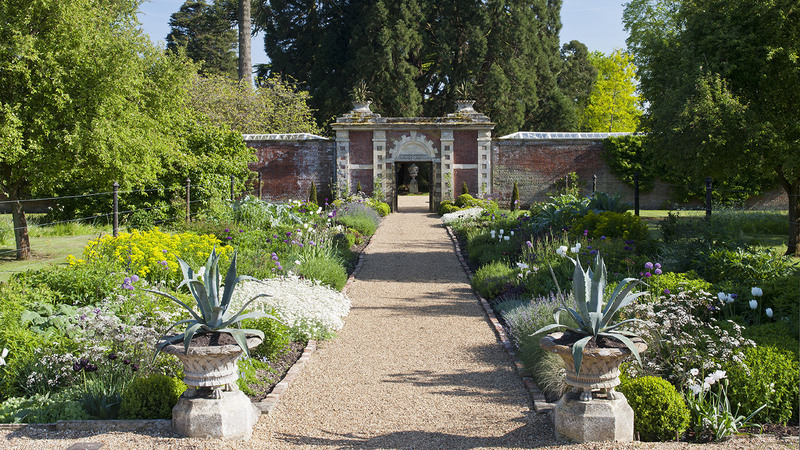 This garden was designed by George Carter and another Norfolk garden designer Verity Hanson Smith. The sweeping arboretum has been opened up recently to show off the fine specimen trees which are being under planted with rifts of bulbs to delight through the seasons. 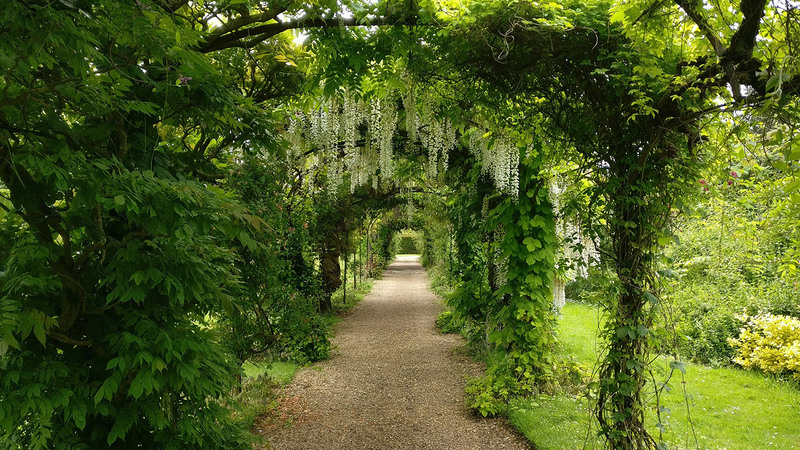 The long borders to the east and west of the garden offer a fine selection of flowering shrubs and trees while the walled garden and chapel piece Pergola await restoration but still boast two wonderful herbaceous borders, giant barrel yew hedges and importantly the tea room and shop! 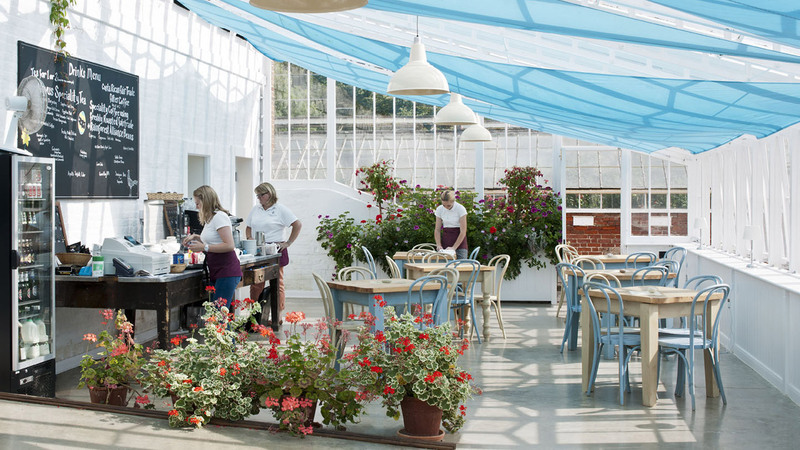 The 'ridge and furrow' glasshouses are attributed to Joseph Paxton who worked for the Crossleys in Halifax and the unique peach cases are akin to the wonderful Paxton ones at Chatsworth House.